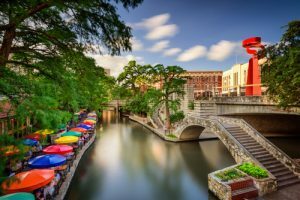 Buy a House in San Antonio - Why Buy a House in San Antonio? One of the major reasons you should consider buying a home in San Antonio is the growth of the city. It’s a popular place perfect for those looking to enjoy a big city with plenty of things to do. If you’re looking to move to one of the best cities in Texas, here are a few reasons why you should buy a home in San Antonio. One of the most popular places to enjoy entertainment, shopping, dining and events in San Antonio is the Riverwalk. This area of the city is one of the most popular and one of the most vibrant. It’s filled with great dining and shopping options, not to mention the incredible nightlife. In addition, plenty of events are held at the Riverwalk every single year. Love the idea of living in a romantic place? Amazon ranked the city of San Antonio as the most romantic city in the entire county due to the products sold here. In addition, there are several great spots for incredibly romantic dates throughout the city. San Antonio may be the spark you need for your relationship. San Antonio has been a growing city for many years with plenty of new companies coming in and offering jobs. It has ranged in the top ten in the nation for careers and jobs over the past few years. The city isn’t just home to a professional basketball team. There’s a ton of history found all throughout, along with incredible modern things to do. Whether you love nature, sports, museums or even a slower pace of life, you can find it when you buy a house in San Antonio. It may seem like a silly reason to choose a certain city to call home, but San Antonio offers some of the best food in Texas. It’s known for all types of cuisine and you’ll find great food all throughout the city. There are a number of reasons to choose to call San Antonio home. If you’re looking to buy a house in San Antonio, make sure you hire the right real estate agent for your needs. Many home buying programs, find one that is right for you.